Presidential Dr. Abdullah Abdullah is surrounded by supporters at a rally in Kabul, Afghanistan, August 3, 2009. The elders came to Dr. Abdullah to announce their support of his campaign for Presidency. 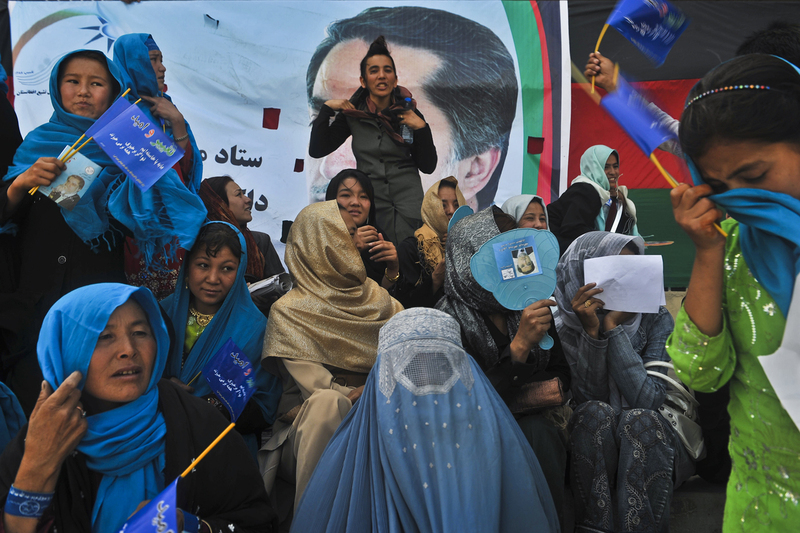 As Afghans gear up to vote in presidential elections slated for August 20, the candidates are on the campaign trail.